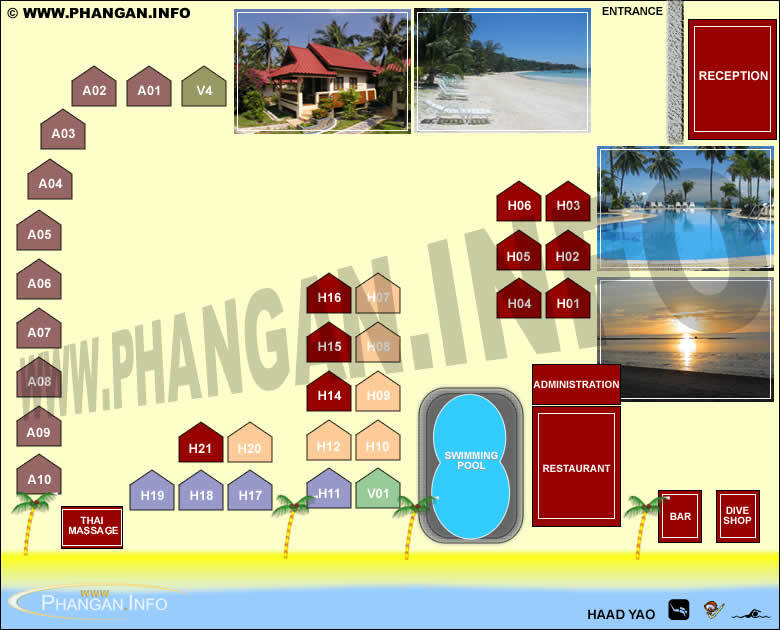 Room rates are already included breakfast and round trip transfer from Thong Sala Pier- Resort - Thong Sala Pier only with prior notice at least one day before arrival. The 3rd person required extra bed charge Low Season 900 Baht, High Season 1000 Baht and Peak Season 1,200 Baht with breakfast. Child under 12 years old sharing bed with parents is free of room charge, only pay for breakfast (maximum 1 child). No show or early check out: NO REFUND. Full Moon Reservation: No minimum stay. Compulsory Dinner Christmas 25th Dec 2015: 3000 THB (Adult), and 1500 THB (Child aged 3 -11 years old). Child under 3 year old is free of charge. Compulsory Dinner New Year 31th Dec 2015: 3000 THB (Adult), and 1500 THB (Child aged 3 -11 years old). Child under 3 year old is free of charge.